If you have been on birding social media this week, no doubt you’ve been reading tributes about Bill Thompson of Bird Watcher’s Digest. Bill was a huge force of enthusiasm and fun in the birding world. He was incredibly generous with his time, advice, music and laughter. He recently lost his battle with stage 4 pancreatic cancer and the birding community feels it keenly. We here at PhoneSkope share in his loss as he was so helpful when we were getting off the ground. He gave advice on everything from product to advertising and made us feel welcome whenever we showed up. That was Bill, that was his way. The above video is Bill performing at the 2011 Lesser Prairie-Chicken Festival in Woodward, Oklahoma, combining humor and music. 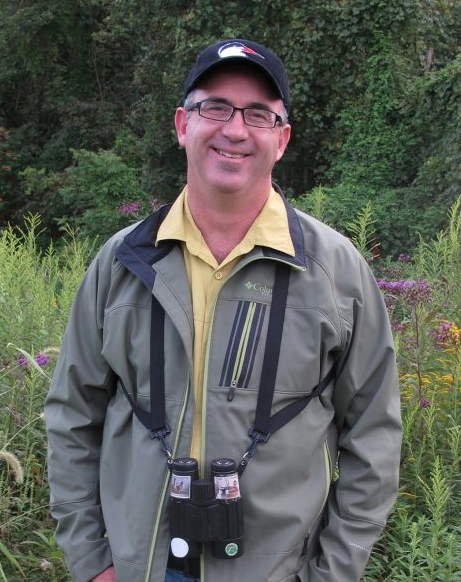 Bill was the sort of person who wanted you to succeed in what you were doing, whether that be getting you a new life bird, improving your birding experience, helping to promote your birding product or simply making you smile. Jeff Gordon, president of the American Birding Association put up the best post on how to honor Bill’s memory in twelve wonderful ways. Outside of his sense of humor and music his legacy includes the American Bird Expo which he started and an extensive line of books including the amazing The New Birder’s Guide and Bird Homes and Habitats..
For those who have been touched by Bill and would like to send something out, his family has requested donations may be made to the Bill Thompson Youth Birding Trust of the Marietta Community Foundation. Thank you, Bill, for all that you gave us in friendship and for all you did to help birds.